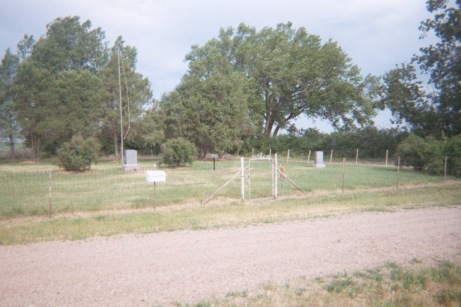 View from the southeast corner. 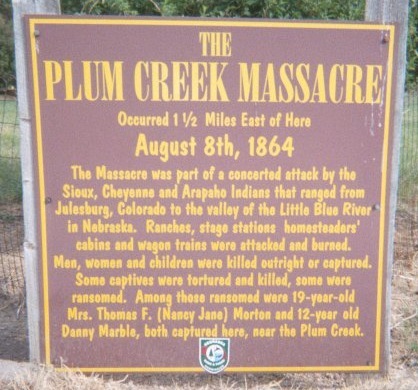 The Plum Creek Massacre Occurred 1 1/2 Miles East of Here August 8th, 1864 The massacre was part of a concerted attack by the Sioux, Cheyenne and Arapaho Indians that ranged from Julesburg, Colorado to the valley of the Little Blue River in Nebraska. 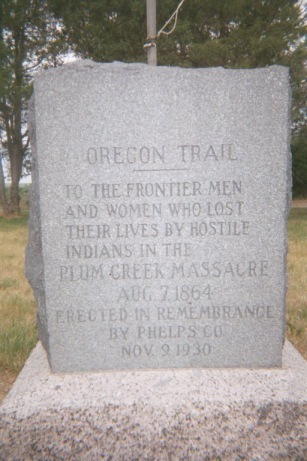 Ranches, stage stations homesteaders' cabins and wagon trains were attacked and burned. Men, women and children were killed outright or captured. Some captives were tortured and killed, some were ransomed. Among those ransomed were 19-year-old Mrs. Thomas F. (Nancy Jane) Morton and 12-year old Danny Marble, both captured here, near the Plum Creek. AGED 24 y'rs 6 mo's 10 d's. 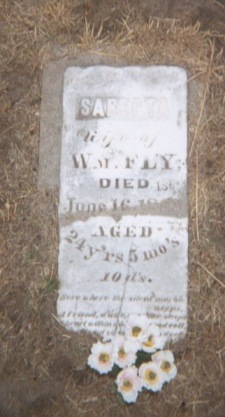 In memory of an unknown child who, from the information available, became seriously ill and died while traveling with a wagon train in 1885 or 1886. Was buried on the Rev. 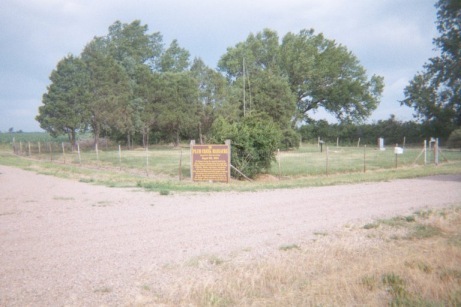 Pierce farm west of Holdrege. 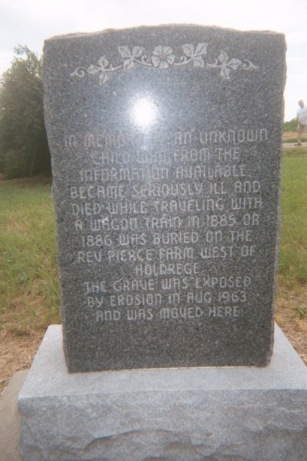 The grave was exposed by erosion in Aug. 1963 and was moved here.